Five classic films (The Godfather, The Godfather 2, The Conversation, Dog Day Afternoon and The Deer Hunter), five memorable performances, John Cazale died at the still young age of 42 leaving a small but everlasting legacy of work that has more than stood the test of time. More amazing, is considering his performances he never received an Oscar nomination. Casual filmgoers remember him only as Fredo, the middle brother with the permanently hurt puppy dog look on his face in The Godfather 1 and 2. 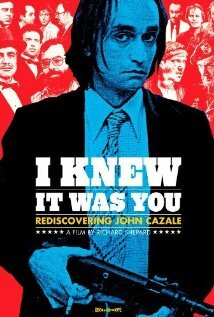 Richard Shepard’s insightful documentary, “I Knew it Was You: Rediscovering John Cazale” is a warm tribute to an actor, respected and treasured by his peers. The film traces his life growing up in Massachusetts, moving to New York to pursue a career in theater and film. The film includes many interviews including playwright Israel Horovitz (Cazale was in ten of his plays, including the Off-Broadway,”The Indian Wants the Bronx” with Al Pacino for which they both won Obie’s). Many of his co-stars including Pacino, Gene Hackman, Robert DeNiro and Meryl Streep, who became the love of his life, talk about working with Cazale, his talent and friendship. Directors Francis Ford Coppola and Sidney Lumet discuss his special qualities and the unexpected nuances he would bring to a role adding an unexpected depth to his characters which stretched the film’s effectiveness beyond what they imagined. Coppola was so taken with Cazale in “The Godfather,” he expanded his role in the second film. By the time Cazale made his last film, “The Deer Hunter,” he had already been diagnosed with lung cancer and considered uninsurable. In order for him to get the role of Stan, Robert DeNiro put up his own money as insurance that Cazale would be able to finish the film. Cazale completed his role though he died before the film was released. John Cazale was an extraordinary actor who through his work earned the trust and respect of his fellow actors and filmmakers. Al Pacino states he learned more about acting from working with John Cazale than any other actor. The film is a short intriguing 40 minutes long, directed by Richard Shepard (Matador, The Hunting Party). It premiered at the Sundance Film Festival in 2009, made its New York Premiere at BAM before making its way to HBO in 2010. Now available on DVD. It includes two shorts, one in which Cazale acts and is the cinematographer in the second. This entry was posted in Documentary, Film Reviews, Film Shorts and tagged I Knew It Was You: Rediscovering John Cazale, John Cazale, Richard Shepard. “The Conversation” is one of my many favorite films from this period. Coppola was at his peak and this small film was a revlation, at least for me. Thanks Gary for your thoughts! John, as I stated under your report at WitD, I completely agree with you on Cazale’s great talent and targic passing at a young age. Every one of the actor’s five films received a Best Picture nominations, and he worked with some of the greatest performers of his generation. I haven’t seen this documentary, but at least was aware of some of the facts you bring out, including Coppola expanding Fredo’s role in the second Godfather film. You have given this one a worthy spotlight John, and I do plan on checking it out. Thanks Sam. 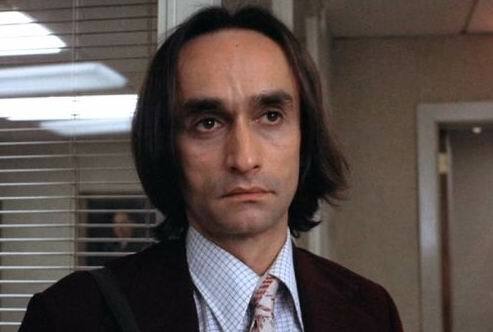 I think few actors acheived the high level of quality Cazale reached in such a short period. Five wonderful films, five wonderful performances. 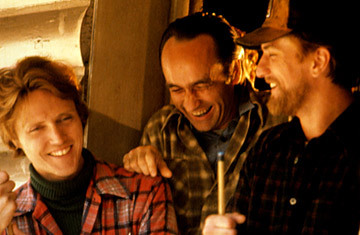 I first saw Cazale in “The Deer Hunter” and didn’t pay too much attention. His role wasn’t as dramatic as Christopher Walken’s or John Savage’s, and because he was ill maybe he wasn’t quite at his peak. But I later saw his other four movies and was most impressed. His acting style was intense without being showy. I especially liked him as Fredo in “Godfather II.” Three actors were nominated as best supporting actor for this movie, and to me he was clearly better than two of them and pretty much equal to de Niro, who won. It’s not easy to play a weak and treacherous character like that and make him believable and sympathetic, but Cazale pulled it off beautifully. He made it plain how Fredo’s frustration with his personal limitations and being the odd man out of the three super-capable brothers drove him to behave the way he did. When Michael is forced to make the choice to have him killed, it’s heartbreaking for both of them. In the documentary, Al Pacino basically mirrors what you say about playing a weak character being more difficult that say the more flamboyant parts. In The Godfather films, you can feel the inner rage and resentment boiling over in his character. Yes, a terrific doc. on a amazing actor. R.D.’s description is right on. Thanks Eve. Very interesting to find out more about Cazale. In general, it would be good to know more about the actors who don’t get top billing in great films but are really as important to the whole mix as the leads. Agree Judy, if you get the chance to see this do, itis a informative documentary on a fine actor. Cazale is one of few actors to be great every time out. I only wish we could’ve seen more! Indeed, he died way too young. i keep hearing he died of aids and not cancer. can you clear up this for me? thanks. he was a great actor/ahead of his time too! John died in 1978 of cancer. Cazale was simply a treasure- lost soso soon- had he lived – he would have had a career on par with DeNiro, Pacino, Keitel- came from same school- Wish he had a larger role in Deer Hunter- so sad to think that all his co-stars went on to super stardom- and he left us – with so so many more great roles yet to be played. I agree completely. He was a superb actor and I am sure would have had a wonderful career filled with many magnificent performances. We’ll never know what could have been. Thanks for sharing your thoughts!